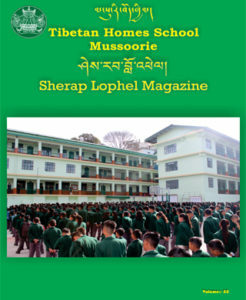 In the last more than five decades, Tibetan Homes Foundation (THF), Mussoorie has been providing overall growth of education to over thousands of children. Every year over 150's children are admitting under the care of Tibetan Homes Foundation in the form of boarder and day scholar. 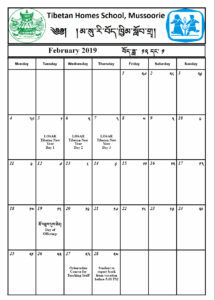 The actual admission of children starts in January and ends on 28th February except for class 11, but above mentioned date are flexible according to Tibetan Calendar. The parents, relative who are seeking admission for their children under the care of Tibetan Homes Foundation needs to send an admission application with recommendation letter from their respective Tibetan settlement officer except those who are willing to pay annual maintenances course for the child. The Admission Committee will make a decision on child’s admission within a week of application receive date line end. Once child’s admission is confirm, the applicant will received admission letter, admission form and guardian forms with the date of child to be admit in THF. The children seeking admission under the care of Tibetan Homes Foundation, Mussoorie needs to send an admission application with recommendation letter from their respective settlement officer except those who are willing to pay annual maintenances course. The application should be address in the name of General Secretary of Tibetan Homes Foundation and needs to send to the office of THF from 1st October to 15th January every year except class VI. The admission seeking in class VI must send their application from 1st September to 15th December. The Admission Committee will make a decision on child’s admission within a week of application receive date line end. The applicant should write his/her postal address, email and phone number on the application. Admission Committee will take a decision of child’s admission on the basis of recommendation letter and application. The decision will take within a week after an application receives dateline ends. Eligibility criteria for admissions in class XI Science and Commerce. The date of receiving an application seeking admission in class XI Science and Commerce needs to send their application to the office of THF from 1st December to 31st March. He/she should obtain following grades in their Class X Board Exam. Pass with minimum C1 Grade (51%) or CGPA-8 points in Aggregate result. Minimum of B2 Grade (61%) or CPA -7 points in Mathematics. Minimum of B2 Grade (61%) or CPA-7 points in Science. Pass with minimum of C1 Grade (51%) or CGPA-6 points in aggregates result. In case the number of students is large, the preference should be given to those with C2 Grade (41%) or CPA-5 points in Mathematics. Pass with minimum of C1 Grade (51%) or CGPA-6 points in aggregate result. It is mandatory to submit two set of following document during the child admission. It is important that the parents and relatives of child must examine whether child’s name, date of birth and parents name are match with Birth Certificate and Transfer Certificate before submitting the document. Original Medical and immunization of child. 7. Four Passport size photo.